Dharamsala Hotels, The Himalayas ! On the Road to Dharamshala,..Enjoy Mountain Tales in Warm Himalayan Homes/ Hotels/Guest Houses in Dharamsala..Drink Herbal Tea in Dharamshala Inn/Hotels/HomeStays !!" 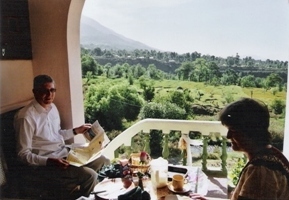 "I will never forget this holiday in Dharamshala,our conversations,your wonderful hospitality in your Hotel.Best moments,sitting in your terrace early mornings,hearing the stream and watching the sunrise over the mountains! "Truly Bliss ! Tom & Sarah Thorley UK.Apr,2004 at Vidya Niwas-Guest House ,Dharamsala. Imagine all the way from Iceland..to the shelter of Dalai Lama's retreat at Norling House in Dharamshala! September, 2003. In Dharamshala, we can find many kinds of Hotels and Guest Houses, Homes and accommodation as per one’s own budget and personal choice. I have over the years discovered that, International Travellers coming to Dharamsala in India Himalayas, have enjoyed their experience immensely.. by staying in Himalayan Homes in the lap of green nature, in the scenic background of the Dharamshala Dhauladhar Ranges ! 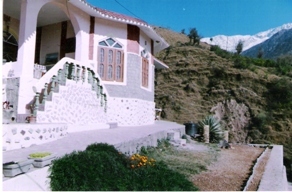 Here, you can discover n experience beautiful Mountain Retreats..,offering healthy herbal meals..drink himalayan tea. Stay in the quiet ambience of traditional rooms decorated with handmade tibetan furniture…tibetan rugs and the warm hospitality of the nomadic people of the mountains. Whether you are on discount travel, budget travel, corporate travel or just on a holistic holiday….your stay in these places will enrich your travel experience and add to your personal growth !! Hotel Vidya Niwas - The House of Knowledge in Dharamsala ! Hotel Vidya Niwas in Dharamshala is nestled in the scenic background of the Dhauladhar mountain range with a beautiful countryside view of pine forests and natural streams of Dharamsala. This Mountain Home has, well-furnished Heritage rooms reflecting the Trans-Himalayan Cultures of India, Nepal, Bhutan and Tibet. Enjoy excellent dining facilities..the best in Dharamshala !..with healthy, home-made food (Himachali, Tibetan and Continental). This Retreat/Hotel, is conveniently located 2 kms from the main town and near all major Tibetan Institutes in Dharamsala..Your choice of Comfort & Peace !! For more on Vidya Niwas..Click Here ! 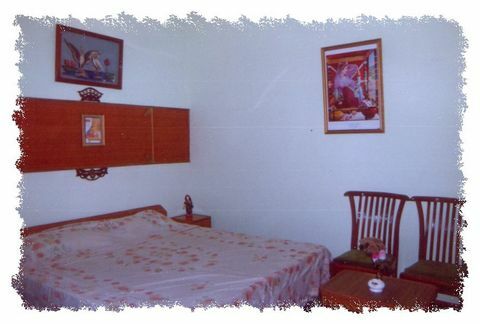 Dharamsala Hotels - Furnished Cottage-On-Rent, Home Retreats and Memorable Homestays..! For a rejuventing holiday in Dharamshala, choose from beautiful Himalayan Homes, Standard Hotels and Private Cottages on rent, for an eco-friendly 'green vacation' in the exhilirating air of the Himalayas..! Whether you are a writer searching for solitude to write his/her book or a television crew looking to film the local Kangra Arts and Tibetan culture, the owners will make sure you have a home away from home with the best personalised services in Himalayan Homestays. 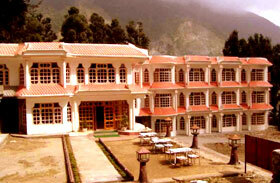 ..There are many commercial Dharamsala Hotels, which are conveniently located in and around Dharamshala. 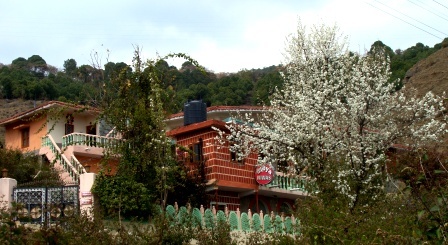 ..For budget travel, you can find several small buzzing guesthouses in McleodGanj. It is advisable to book these guesthouses in advance during the Dalai Lama's main teachings in Dharamsala as students from all over the world flock here for spiritual knowledge and growth, staying in all kinds of Hotels & Guest Houses ! Standard Hotels, Deluxe Hotels, Cheap Hotels & Budget Hotels in Dharamsala ! There are some Commercial hotels in Dharamshala, offering bigger accomodation with furnished rooms and attached bath (Hot/Cold showers). * All the Commercial Hotels, Guest Houses and Special Himalayan Homes are reasonably priced from US $ 40 - 150 per night on Room only basis in Dharamsala. * There are some of the popular Guest Houses which have plenty to offer for those on Budget travel. Price generally ranges from US $ 20-60 per night on Room + Breakfast basis in Dharamshala Hotels in Dharamsala. * There are many yoga and meditation retreats along with health care centers in natural physiotherapy available all around Dharamsala. If you want a purely spiritual stay there are monasteries and ashrams which can house you while you can educate your heart and mind there. 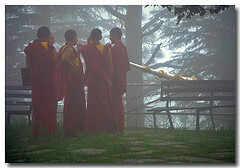 * Recommended stay in Dharamsala would be a minimum of one week as there is so much to do here and so much to see. 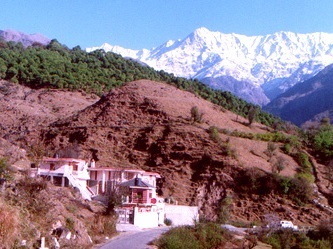 * Many new Commercial Hotels, Himalayan Homes , Guest-Houses are opening in Dharamsala every year, with many International Tourists visiting this exotic Valley of Dharamshala, India. You can choose your own Dharamsala Hotel or we can suggest according to your choice and budget..
"Your Choice of Lodging !" 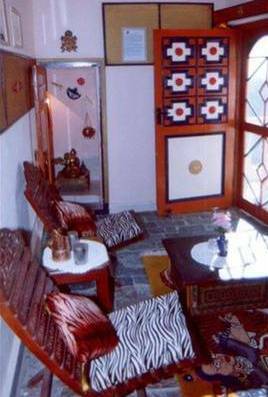 Where to stay in Dharamsala Hotels, Return to Dalai Lama Dharma, for more..! Scene from Hotels of Dharamsala..! Sunset moves up the Dhauladhars, Rock brightens to bronze light, Crossing from the West, Sharpens fluted ridges, Casts vertical shadows, Pas de deux. Earth and Fire, Last touch before night. **Weather Bliss, April 2019 ! 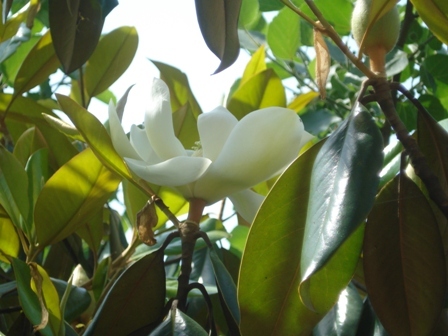 As the spring passes by, it is the advent of the new buds and blooms ,which can best be enjoyed in the flora n fauna of this Himalayan town in autumn time..Dharamsala. Many hotels and homestays have a variety of garden flowers..at Vidya Niwas enjoy fragnance and colors of a Vedic Garden in the Himalayas..! Spring in the mountains..the beauty of the blooming Garden ... even as Winter says farewell ..floral delights of a changing landscsape can fascinate the eye of a revered traveler..! 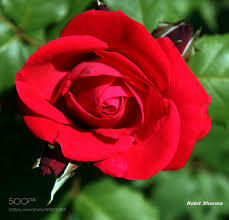 Enjoy the colors of the first winter days which adorn the Garden Bloom with the first blush of roses at Vidya Niwas. Flower season at Vidya Niwas ! 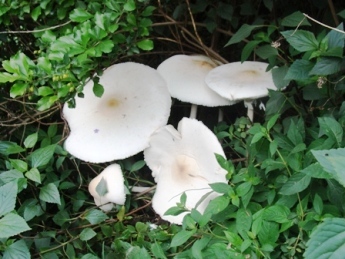 Dharamshala Hotels..a Mushroom Journey..Click Graphic above..! Booking Hotels in India..Click Here ! Dharamsala Hotels, Homes & Mountain Inns..Stay at, Vidya Niwas.. "Your Choice of Comfort"
For Long Stay Holidays..furnished Cottage-On-Rent.. Contact Us..!